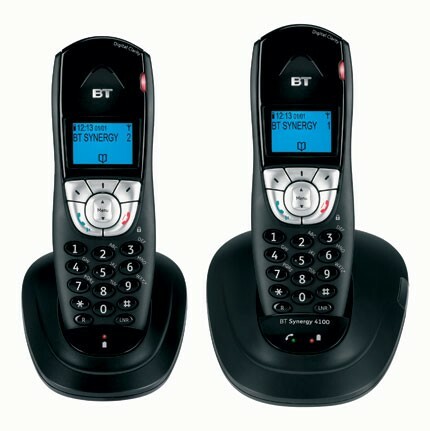 The BT Synergy 4100 Twin has two handsets with predictive SMS text messaging and a SIM card reader/writer. There is a 50 messages capacity and an audio/visual alert when a new text arrives. With a 255 names and number directory, there is hands free capability with volume control and a choice of 15 ringer melodies.